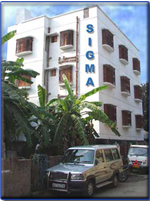 Sigma Search Lights Ltd. -BIS Standards. DGMS rules specify that open cast mines operating for night shift must have their working faces loading & dumping points, haul roads roadways & footpath etc illuminated to specific levels.A well illuminated quarry is conducive to better production & ensures safety of men & machinery. The specified DGMS requirements are given here under. Roadways & footpaths from bench to bench. Place where unloading of dumpers being done.